Electric car startup Fisker Automotive unveiled a design prototype of its second extended-range electric car that is now being called the Atlantic (formerly called Project Nina) at an event in New York City on Tuesday night. The company didn’t give many details on price and launch date, but said the car would be priced in the range of an Audi 85 and BMW 3 series, which would be less than its $100,000 first electric car the Karma. Fisker’s Chief Design Officer (and former CEO) Henrik Fisker showed off a few design details of the car on stage including something called a “spider roof,” a next-generation power train, and lights that look like eagle eyes. Though, the car shown on stage is a prototype so features could change. It seemed like the company’s goal was to say that ‘yes’ Fisker will still make its second car, despite the series of troubles it’s faced in recent weeks. Henrik Fisker said tonight that the Nina has been 90 percent developed, and he confirmed what we reported on Monday: that Fisker has raised $130 million in the past several weeks and now has raised over a $1 billion in private investment. 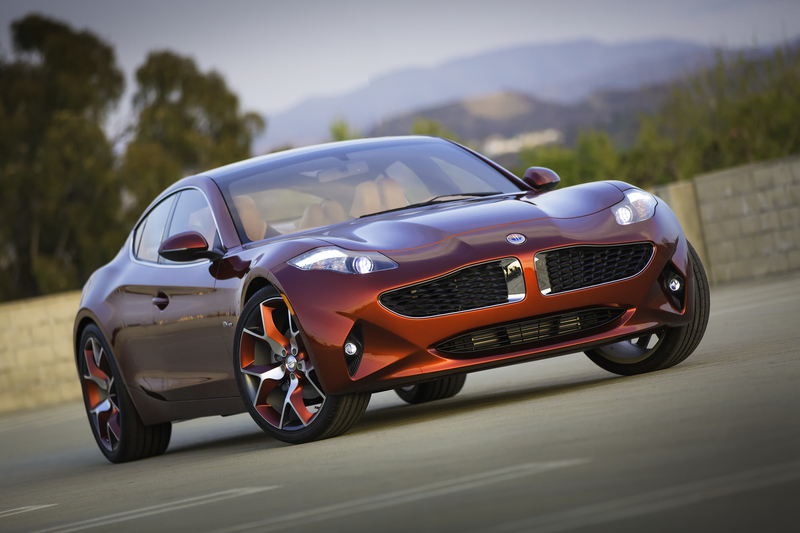 “We want to make it very clear that this car will be built and will go into production,” said Henrik Fisker. Fisker had to raise all this money in recent weeks because the funds it was planning to use to build the Nina were going to come from the Department of Energy loan program, but the DOE stopped Fisker from drawing the remainder of those funds because Fisker didn’t meet the milestones for the loan. That left Fisker seeking funding elsewhere, and I’m sure kept its broker Advanced Equities quite busy in recent weeks. Fisker now says it’s shipped 700 Karmas, and is setting up a Fisker forum and customer service team to address any issues. Will the Atlantic ever make it to market, and has the Karma’s technical difficulties finally ended? Stay tuned. If nothing else, Fisker has cojones. We now have ourselves a car company that can! Is this Charlie Sheen circa 2011? I think that’s “Winning” if I’m not mistaken.